Last week, Environmental Protection Agency Administrator Scott Pruitt announced he will repeal the Obama administration’s regulation to curb power plant carbon emissions, telling coal miners in Kentucky that “the war on coal is over.” The next day he kept his promise, issuing a proposed rule to eliminate the Clean Power Plan. It was hardly a surprise. After all, President Trump has called climate change a “hoax” and vowed during his campaign to bring back coal jobs, which is why Pruitt made his preliminary announcement in Kentucky, where workers have a direct economic stake. Despite the rhetoric, however, Pruitt and Trump can’t alter the harsh reality of the U.S. coal industry: Terminating the Clean Power Plan isn’t going to bring coal back. Consider the facts: As recently as 2008, coal-fired power plants generated half of all U.S. electricity. Since then, demand for coal has dropped steadily due to cheap natural gas, new wind and solar projects, energy efficiency initiatives, and bad investment decisions, forcing three of the four largest U.S. coal companies — and smaller ones as well — into bankruptcy. Today, coal accounts for about 30 percent of U.S. electricity generation. As for jobs, mechanization displaced miners years ago. In 1980, more than 228,000 people worked in the coal industry. In July, according to the Bureau of Labor Statistics (BLS), the industry employed only 50,400. Employment is especially anemic in Kentucky, which supplies 7 percent of the nation’s coal, making it the third-largest coal-producing state. The coal industry employed just 5,600 people in Kentucky in July, according to the BLS, a mere 0.28 percent of the state’s nonfarm working population and 70 percent fewer than at the end of 2008. 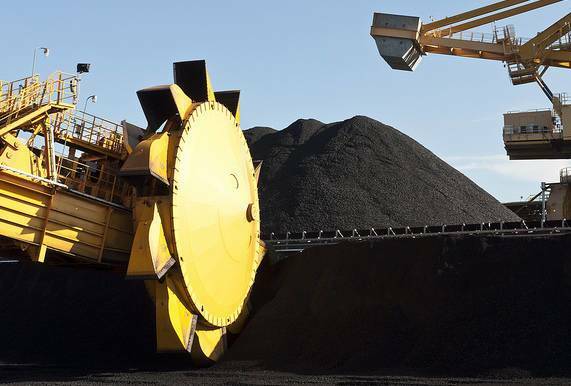 Mining jobs aside, according to new Union of Concerned Scientists (UCS) analysis, the rapid transition away from coal-powered electricity is likely to continue no matter what the Trump administration does. The numbers tell the story: Nine years ago, 1,256 turbine units at 526 coal-fired power plants had a generating capacity of nearly 357 gigawatts (GW). (One gigawatt can power some 700,000 average homes.) Now, 706 units at 329 coal-fired power plants have a capacity of 284 GW — 20 percent less. In the intervening years, utilities converted 98 units to burn natural gas and retired 452 others. Of the remaining 706 units, utilities have already announced plans to either retire or convert 163 more by 2030, amounting to roughly 18 percent of total U.S. coal capacity. But even that does not provide the full picture: UCS identified another 122 units at 58 plants that are uneconomic compared with natural gas — an additional 20 percent of coal capacity that is ripe for retirement. Taken together, UCS analysis shows that U.S. coal-fired electricity capacity could drop by more than a third in the next 15 years. This inevitable decline will affect some states far more than others. Ironically, the state that consumes the highest percentage of uneconomic coal-fired electricity is West Virginia, the second-largest U.S. coal-producing state. UCS found that 12 of the 19 coal-fired units currently operating in the state are ripe for retirement, accounting for some 57 percent of the state’s electricity. Four other states are generating more than 20 percent of their electricity from uneconomic coal-fired units: Georgia, Maryland, North Carolina and South Carolina. Shutting down more old, inefficient coal units or converting them to run on natural gas will undoubtedly have a positive effect on public health. The data show that tighter pollution controls and closures already have dramatically reduced toxic coal plant pollutants linked to cancer and cardiovascular, respiratory and neurological diseases. Between 2004 and 2012, for example, sulfur dioxide and nitrogen oxide emissions — the main components of fine particulate pollution — dropped 68 percent and 55 percent, respectively, according to a 2015 Clean Air Task Force study. As a result, the study found, the number of asthma attacks attributable to coal plant pollution plunged 77 percent, heart attacks decreased 69 percent, hospital admissions plummeted 74 percent, and premature deaths declined 68 percent, from 23,600 to 7,500. Closing more coal plants would particularly benefit low-income communities and communities of color, which are disproportionately harmed by coal’s toxic emissions. A 2012 NAACP study found that the nearly 6 million Americans who lived within 3 miles of a coal plant in 2000 had an average per capita income of $26,000 in today’s dollars — 15 percent lower than the national average — and 39 percent were people of color. According to UCS, by 2016 the number of Americans living within 3 miles of a coal plant was down to 3.3 million, and when the units scheduled for retirement are shuttered, fewer than 2 million will live that close. According to an August 2016 Carnegie Mellon study in the journal Energy, converting all currently operating coal power plants to natural gas would further reduce sulfur dioxide and nitrogen oxide emissions by 90 percent and 60 percent, respectively. But coal plants are also one of the nation’s largest sources of carbon dioxide emissions, accounting for roughly 20 percent. Replacing them with natural gas would not do enough to reduce the electric power sector’s contribution to climate change, not only because the burning of natural gas produces carbon dioxide, but also because gas leaks at drilling sites, processing plants and pipelines release methane, a more powerful heat-trapping gas than carbon dioxide. The UCS analysis recommends a better approach. “In states where many outmoded coal units will likely close, a wholesale shift from one fossil fuel to another is tempting, but it would be a big mistake,” said Sam Gomberg, a UCS senior energy analyst and coauthor of the new UCS report. “Aside from the fact that it wouldn’t adequately combat global warming, there are other problems with relying too heavily on natural gas, including yo-yoing prices and utilities getting stuck with obsolete infrastructure.” To avoid these pitfalls, Gomberg said, states should diversify their energy mix with renewable resources such as wind and solar power, energy efficiency, and emerging technologies, including battery storage and smart meters. Given the scale and scope of the energy transition now underway, the choices utilities make to replace coal will have a major impact on public health, the environment, and economic justice. Elliott Negin is a senior writer at the Union of Concerned Scientists.